Prerequisite: successful completion of SHODEN. If you've taken Shoden (Jikiden Reiki Level 1) with another Jikiden Reiki teacher, please email us (healing@sdreiki.com) the date of your certification and your teacher's name and we'll send you a class registration link. * Please note, snacks/water/tea/coffee are always served at our UTC location, but during our classes at the Japanese Friendship Garden. The price of Okuden training is only $415/person ($100 for repeating students) and it includes the tuition, $15 processing fee, all materials, and the official Jikiden Reiki Institute English and Japanese certificates. Combined Shoden and Okuden Jikiden Reiki seminar (Complete Jikiden Reiki Training) is a four-day-long (8 or 9 am ~ 5 pm each day) complete Jikiden Reiki training that covers everything one needs to know to officially practice Reiki. 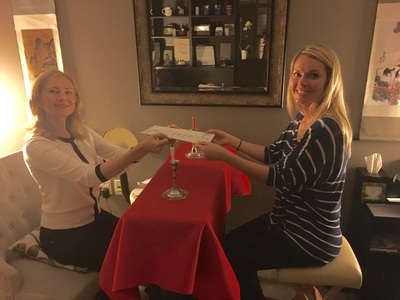 The price is $775/person and it includes materials and full Jikiden Reiki practitioner certification. 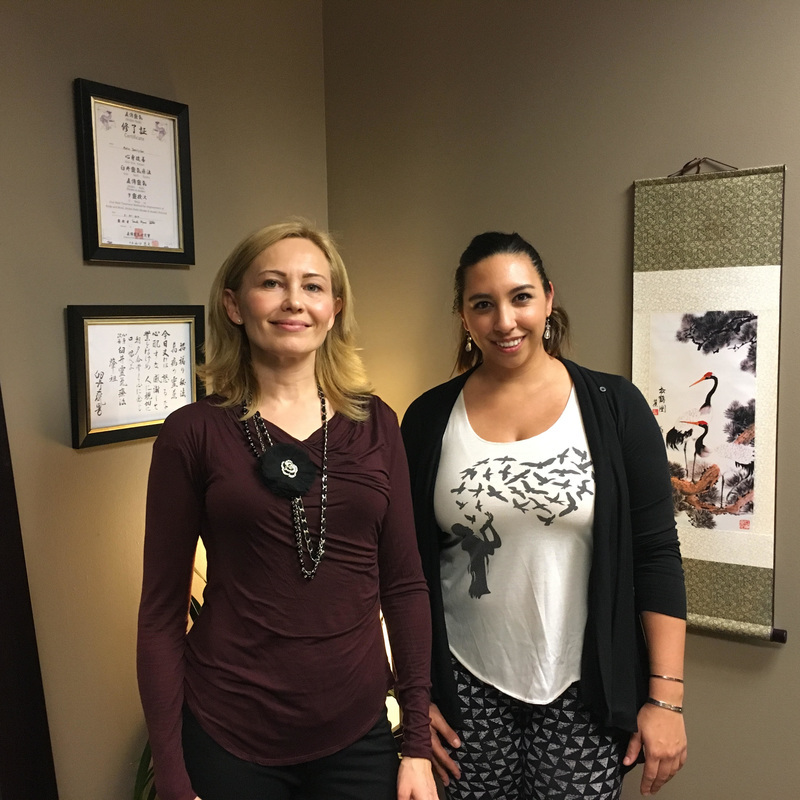 All of our classes are taught by Dr. Maria Danilychev, MD, a Medical Doctor, who is also a certified Jikiden Reiki Shihan, credentialed by the Jikiden Reiki Institute in Japan. ​Dr. 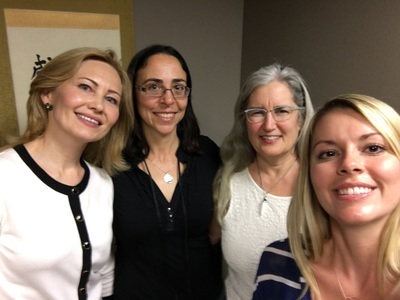 Danilychev is an actively practicing, board-certified medical doctor and a medical director, who also teaches Jikiden Reiki and other classes at San Diego Reiki. As a teacher credentialed by the Jikiden Reiki Institute in Japan to teach Shoden (level 1) and Okuden (level 2). 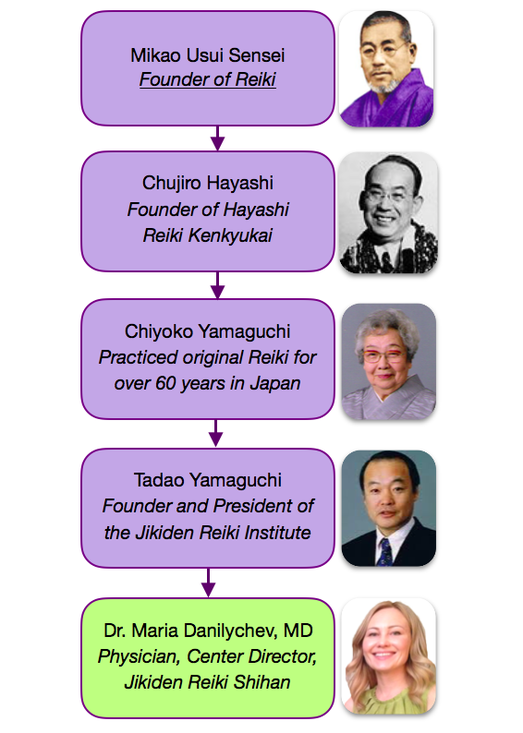 Dr. Danilychev provides official Jikiden Reiki Institute Certification to students who complete the training. Wish to be updated on our class schedule? CLICK HERE TO JOIN REIKI CLASSES MAILING LIST and we'll keep you informed about our upcoming classes and events. ​Please email us at healing@sdreiki.com if you have any questions or need any assistance with class registration. Learn Reiki with us. You will be glad you did. All of our students regardless of why they've decided to take the class have told us that they were very happy they've done it. We are sure you are going to love it, too! The following books are highly recommended for anyone interested in learning Reiki or learning more about its origins. Jikiden Reiki training is quite rigorous. Although the initial certification takes only three days, most students choose to repeat the seminar several times. In addition, many practice hours are recommended as a part of your training. ​A few exceptional teachers become Dai-Shihans. There just over a dozen Dai-Shihans in the world today. When you learn Reiki with us, we are committed in supporting you in your future Reiki practice. 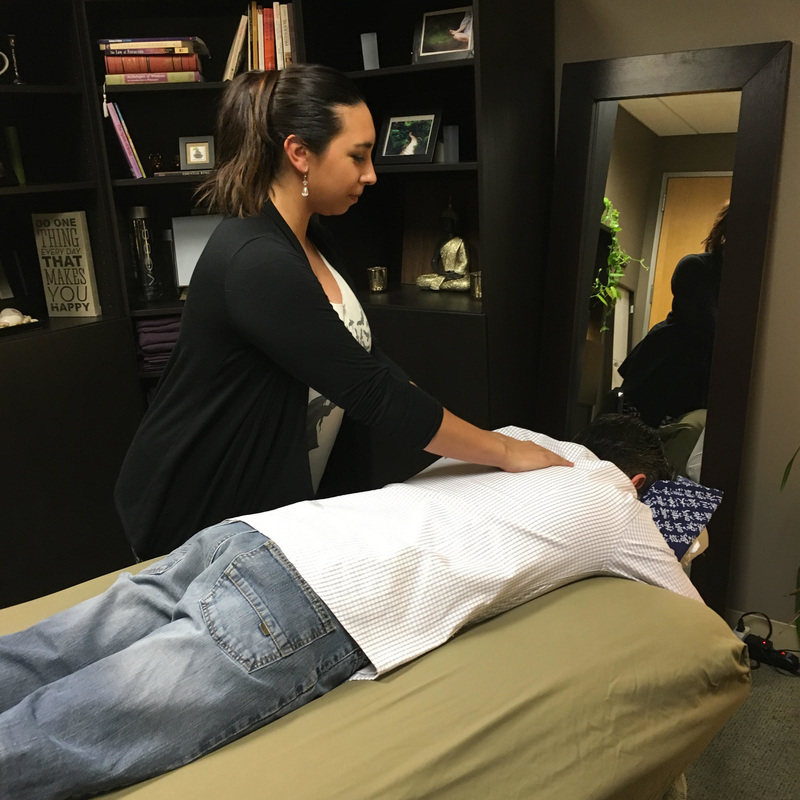 Whether you will only use Reiki to help family or friends, or are planning to start your own Reiki Practice, we are here to help you along the way. You have an amazing future, and we are grateful to be a part of your Reiki path!